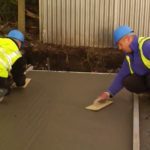 Adding value to your property with a concrete garage. These days rather than move house many home owners are looking at ways of increasing the value of their existing home. 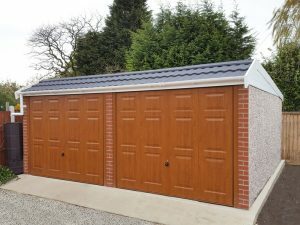 If you are one of them you might want to look at adding value to your property with a concrete garage. How much value could be added? Research carried out recently suggests that a garage can add between 5% – 10% to the value of your home. But that’s just for a single garage, a double garage could increase its value by up to 20%! 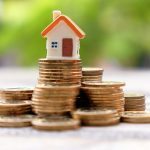 Average house prices in the UK currently top £228,000. 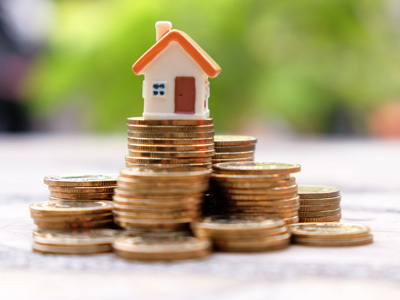 That means a single garage could add between £11,000 and £22,000 to the value of your house! At Lidget Compton our average starting price for a concrete garage is less than £2,200* so you really are adding value to your property with a concrete garage. And a concrete garage is comprehensively cheaper to install than a brick built equivalent especially if you build the concrete garage base yourself. 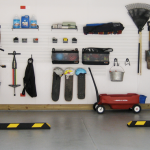 In addition to adding value to your property, a concrete garage has a number of other benefits. Obviously a garage significantly increases your storage space. But research has shown that a garage or car parking was the number one priority for UK house buyers. So if you are looking to sell your home it should be much easier if you have a garage. Having a concrete garage can also reduce your car insurance, providing you use the garage to store your vehicle. Although increasingly people are looking at alternative uses for their garage. According to the Daily Telegraph the number of households in the UK that have converted their garage in to another room is around 650,000. The most popular conversions being a home office or gym. They also reported that some 450,000 have plans to convert their garage in the future. Insulating and lining out your concrete garage to use as a room effectively increases the living space on your property. This in turn is adding value to your property significantly. We have some handy information on insulating and lining out concrete garages in our resource centre. How do I choose the right concrete garage? So if you have decided that adding value to your property with a concrete garage is a good idea we can help. We have some useful information on choosing the right concrete garage. We also have a network of nationwide building specialists on hand to provide all kinds of help and advice. You can find your closest approved Lidget Compton specialist using our handy Agent Finder. *price based on an average across the UK, concrete garage prices vary with delivery distance.